Butterfly shaped farfalle pasta is perfect for pasta salad recipes or to serve with simple tomato pasta sauces. Give it a try! 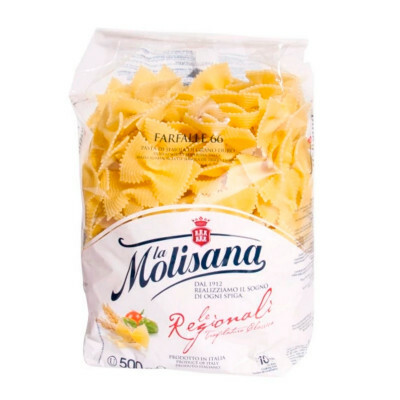 Literally ‘butterfly’ in Italian, this is pasta shaped like little butterflies or bow-ties. Certain pasta shapes hold different sauces better than others - cheese or rich tomato sauces cling well to farfalle because it’s a relatively small pasta shape with a large surface area. One of the first pastificios in Italy, la Molisana has opened their doors in 1912, with the philosophy to put quality and ingredients first. And their motto still stands today.